I was expecting to go through a lot more than I did this month – I had these large, full-size bottles of skincare that are on their last legs and I thought finally, I’ll be done with them in June! But no, they just keep going and never runs out! They’re like magic or auto-refilling or something! That said, I did use up a good amount of makeup! Skincare products are usually easier to run through, so I’m always doubly happy when I do use up a makeup product! 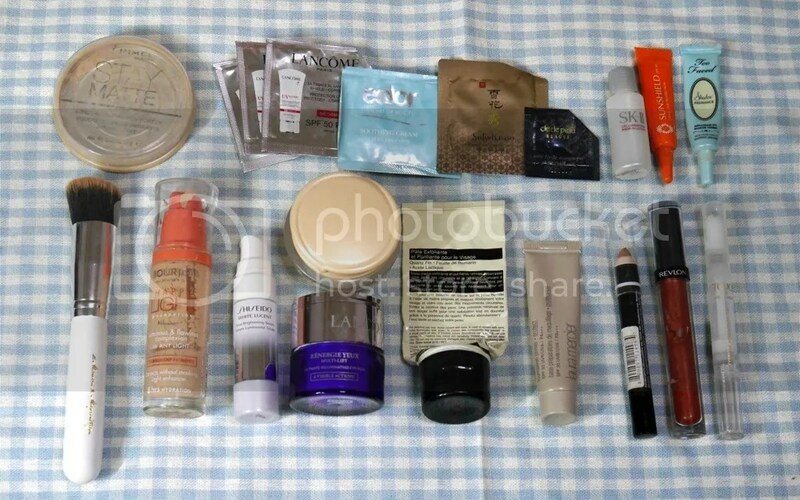 After a very small Part 1 empties blog post earlier, here’s a much bigger Part 2! 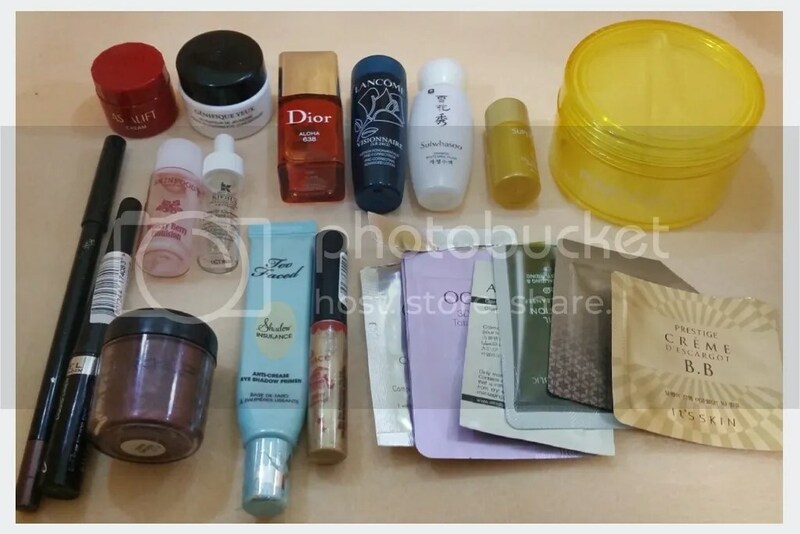 Most of these are smaller items or mini/travel sizes of skincare, plus a good number of sachets. I also managed to use up a number of makeup items and that makes me really happy – I always finish up skincare but it’s much harder to use up makeup as I love switching them up! Today I said goodbye to another bronzer – there was a time when I watched too many American beauty youtube videos and decided that I needed my face to be tanned and contoured, so I bought lots of bronzers and attempted to contour my non-existent cheeks everyday. But now I’ve defected over the the Korean beauty style, which appreciates my natural paleness – in fact the fairer the better, so I no longer reach out for bronzers. 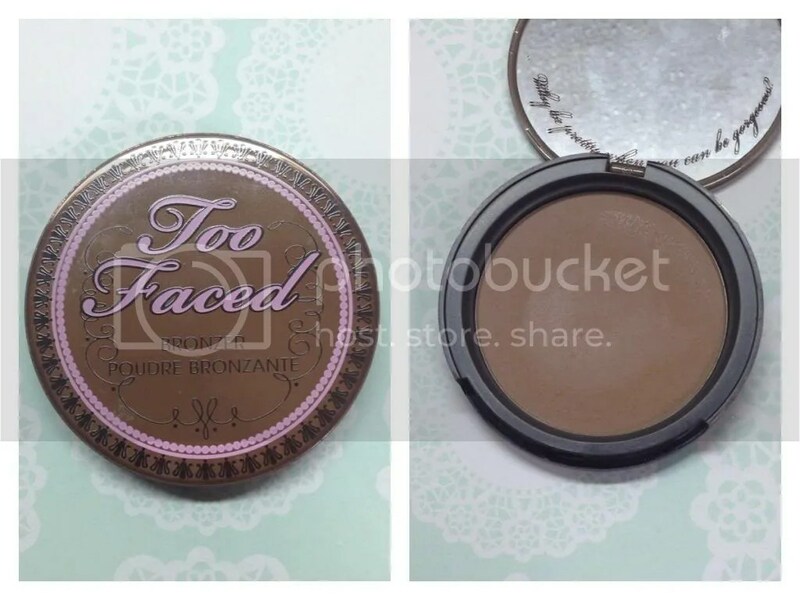 I love the scent of this Too Faced Chocolate Soleil matte bronzer – it smells just like chocolate and I can’t help but smell it every time I open this. But it was a very orange on me, so despite it being matte, it was not a great contour shade. The pigmentation is great, which was actually a problem for me as it turned me into an Oompa Loompa if I was not careful with how much I put on. After having it for nearly 2 years and barely using it, I thought it was time to let it go. So farewell now, bronzer. Hi everyone! 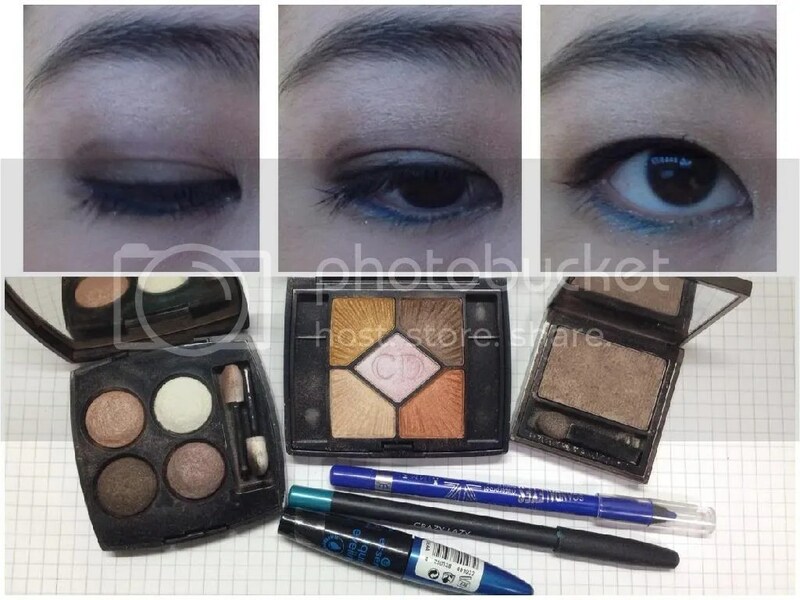 A quick EOTD – was waiting for transport to work this morning when I thought I might as well use the time to take a quick snap of my eye makeup! It’s quick and easy, plus I only used 1 eyeshadow palette. The palette is no longer available but the shades should be easy to dupe. It’s a typical neutral look that does not require too many steps, or too many items. I went easy on the rest of the face as well – just foundation, powder and blush – mostly because I woke up late and didn’t have time to bother, but I did manage to do my entire face and eye makeup in under 10 minutes. I hope you like it! Another quick EOTD. The lighting was again not quite right so the picture is more washed out than it really is and the light pink/purple transition shade could not really be seen. I love how it looks in real life though; I think it’s quite romantic and sultry and would be great for a date night. The colours are appearing a bit more dull than in real life; it was a cloudy and rainy day when I took the picture. Hopefully after the monsoon season and the sun comes back I can get some good pictures with better lighting! Another review on an eyelid primer – I wrote about the Elf Eyelid Primer recently, and how it was a cheap alternative that helps eyeshadows last longer. 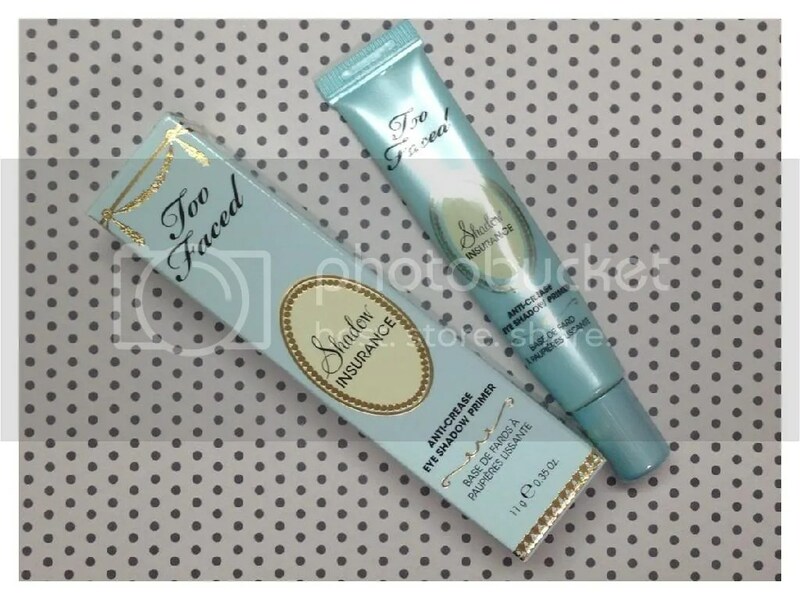 Today I’ll be touching on something that costs quite a lot more – the Too Faced Shadow Insurance. For 0.35oz, this costs about USD 20. So let’s see if this is worth the price! This is your full-coverage insurance policy against all fading, creasing, melting, blurring, oil slicked, and hard-to-blend eye shadow accidents. Our silicone based eye shadow primer transforms any eyeshadow into a perfectly blendable, color-drenched, intensified version of itself, then locks it down perfectly until you take it off. This soothing formula evens out the skintone on your lids and smooths lines while securing a barrier between the oils of your skin and your makeup. According to the website, this eyelid primer is formulated without parabens, sulfates, synthetic fragrances, synthetic dyes, petrochemicals and phthalates. I’m not a chemistry graduate, so I have no idea what difference that made but I assume it means it’s better for you. The Shadow Insurance comes in a slim tube packaging; I like it as it allows me to easily control the amount I squeeze out and I can cut it open to reach any remaining product as I use it up so any wastage is minimized. 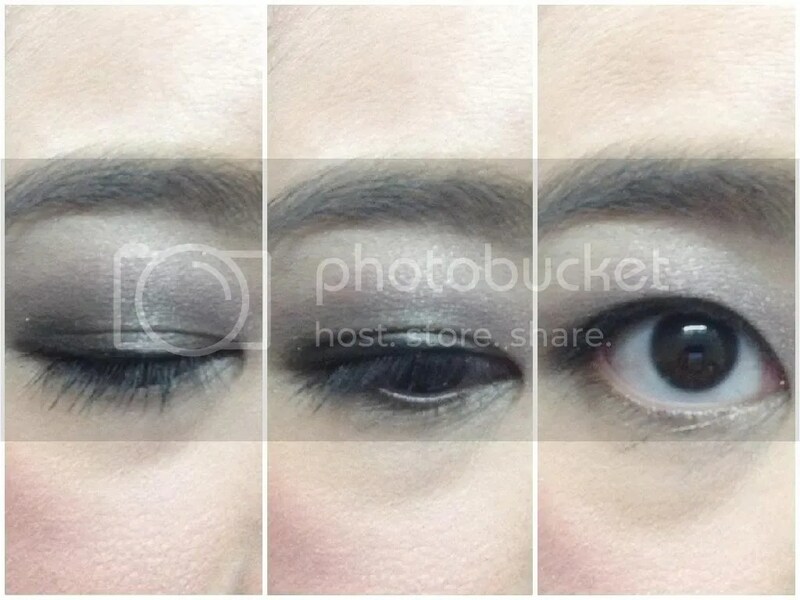 The product itself is beige in color but goes on sheer, with very minimal color translating on the eyelids. The texture is smooth, spreads easily, does not feel sticky nor too slippery; it’s also very lightweight. Even though this is expensive, just a tiny amount covers the whole lid; I just squeeze a bit out and blend it all over my lids with my finger. I find that the Shadow Insurance did very well in terms of keeping my eye makeup from creasing or fading all day. Because of its ability to make eyeshadows ‘stick’, I do try to let it dry down a bit before placing stronger or darker colours, or it will be harder to blend it out. 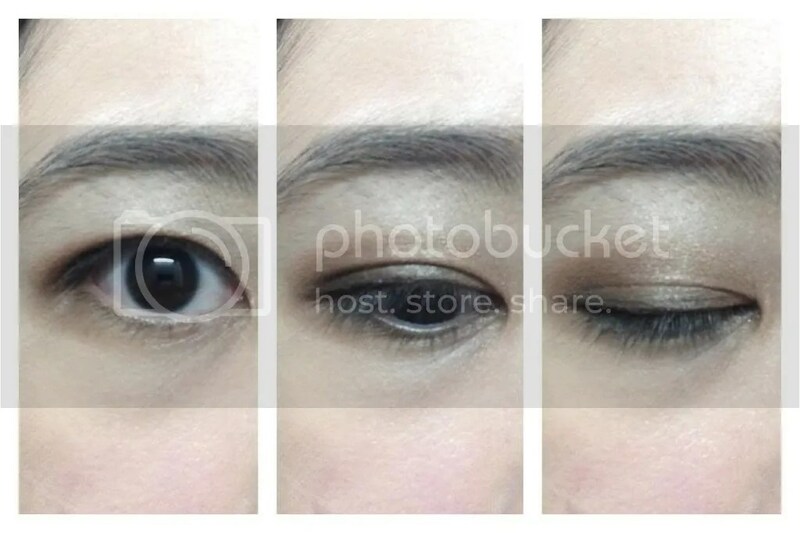 As compared to the Elf Eyelid Primer, the Shadow Insurance fared better, in my opinion, in making eyeshadows look more vibrant and blending eyeshadows over it was a bit smoother. If I’m reaching for something that is less pigmented, I would definitely use this as it helps amplifies the color payoff. That said, I still find that the other primer by Too Faced, the Glitter Glue, a much better companion for glitters and shimmering pigments. In short, an absolutely great eyelid primer and I do think that it’s worth the price. What’s your favourite eyelid primer?